The American Conference on Diversity in collaboration with Berkeley College will hold the 17th Annual Diversity Issues in Higher Education Conference – “Making Meaning of Today’s Cultural Climate” –on Friday, November 17 (9 am to 3 pm). 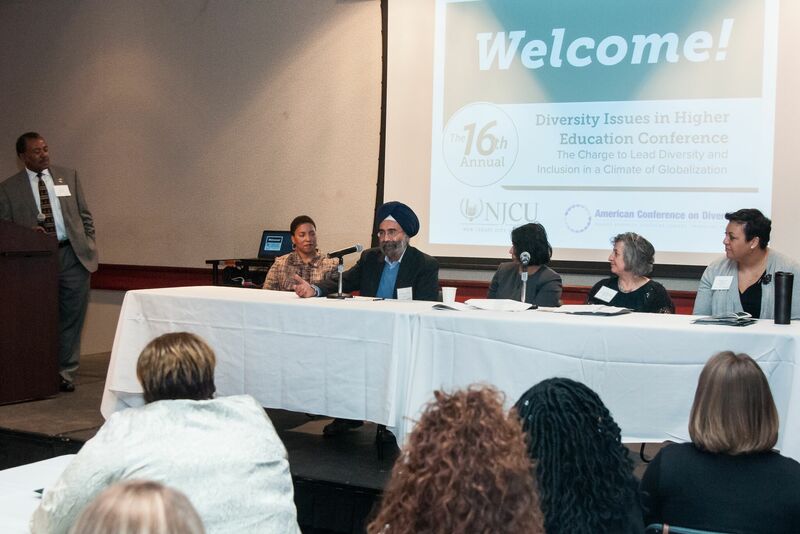 “Berkeley College is proud to partner with the American Conference on Diversity to host the 17th Annual Diversity Issues in Higher Education Conference. Diversity and inclusion are responsibilities we all share. We believe teaching and learning to build the road to respect will inspire progress in our society,” says President Michael J. Smith. This full-day conference is the premier event within the tri-state area addressing critical diversity challenges in academia, the community, and the workplace. It is open to students, alumni, faculty, and staff from colleges and universities, corporate diversity leaders, recruiters, career-advancement professionals, educators, nonprofits, government and community leaders, and the general public. The learning and networking event will take place at the Berkeley College Woodland Park, NJ, campus’ Renaissance Hall (44 Rifle Camp Rd., 07424) and will include thought-provoking speakers, interactive panel discussions, and informative breakout sessions. The keynote speaker will be Dr. Wes Bellamy, Vice Mayor of Charlottesville, VA, who witnessed firsthand the tragic events of August 12th – and he continues to address racial issues in the current climate of hate in the community. 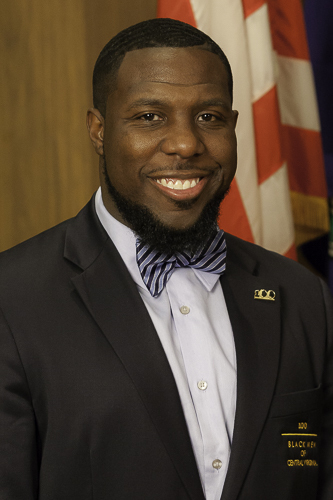 Dr. Bellamy is the youngest individual to ever be elected to the Charlottesville City Council. Originally from Atlanta, Dr. Bellamy moved to Charlottesville in September 2009 after graduating from South Carolina State. In 2011, he was encouraged by community leaders and school personnel to pursue a career as a teacher, and he has spent the last six years teaching and sponsoring several clubs at Albemarle High School. Dr. Bellamy earned his Master’s Degree in Education Administration in 2014 and his Doctoral Degree at Virginia State University in 2017. Dr. Bellamy was appointed to the Commonwealth of Virginia State Board of Education in 2016, a post in which he served for nearly a year. Dr. Bellamy’s primary focus is on improving the lives of those who lack resources and positive role models in their lives. He strives to do this by sponsoring community days and coat drives and empowering as many youth as possible. Dr. Bellamy serves as President of the national award-winning 100 Black Men of Central VA (UVA chapter), Co-Chair of the Charlottesville Alliance for Black Male Achievement, and is an African American Teaching Fellow. He currently serves on the Charlottesville Redevelopment and Housing Authority Board and the Charlottesville Police Citizens Advisory Panel. The keynote address will be followed by a panel discussion with Eileen Gale Kugler, author of Innovative Voices in Education, International Association of Chiefs of Police Vice President Paul Cell, Kavita Mehra, Executive Director of Sakhi for South Asian Women, and Mary Chayko, Professor and Director of Interdisciplinary Studies at Rutgers University School of Communication and Information. It will be moderated by James Harris, Past President of the New Jersey State Conference NAACP. The Legacy of Activism and Resistance: Tools & Strategies – During this session, moderated by Seton Hall’s Rev. Dr. Forrest M. Pritchett, Faculty Mentor and Freshman Studies Program Director of the Dr. Martin Luther King Jr. Leadership Program, community leaders and scholars will provide an historical perspective, explore the meaning of white privilege, and offer anti-oppression tools and strategies. Participants will include Chloe Bland, PhD, Assistant Professor at College of Saint Elizabeth, Alan Richter, PhD, President of QED Consulting and Global Diversity & Inclusion Benchmarks co-author, Cheryl Evans, PhD, retired Professor Emeritus of Teacher Education from Bloomfield College, and Larry Hamm of People’s Organization for Progress. How Do We Create Inclusive Communities? – This breakout will be moderated by Esmilda Abreu, PhD, Assistant Vice President for Student Affairs and Title IX Coordinator at Pratt Institute. It will cover a range of issues, from immigration to interfaith, and will share lived experiences from diverse leaders, including Diana Wilcox, Chaplain at Montclair State University and Rector of Christ Episcopal Church in Bloomfield and Glen Ridge, Chandri Barat, Executive Director at Barat Foundation, Orville Morales, Community Campaign Manager at The Public Good Projects, and Kirsten Richert, Principal Consultant at Richert Innovation Consulting, LLC. Transforming Traditional Activism: Allyship & Solidarity – Moderated by Jennifer Jones, PhD, Director of Career Placement at New Jersey City University, this session will discuss the differences between allyship and solidarity, how to become and effective agent of change, and more. It will include International Association of Chiefs of PoliceVP Paul Cell, Jazmin A. Peralta, Assistant Director of Special Projects for Equity and Inclusion at Pratt Institute, Kathy Buck, Vice President for Student Life at the College of Saint Elizabeth, and Jane Denny, Director of Education, Center for Holocaust, Human Rights & Genocide Education at Brookdale Community College. Our Voices…Our Issues Student Panel – This eye-opening discussion will feature pressing issues our youth are facing and will include students from College of Saint Elizabeth, Seton Hall, Stockton University, Berkeley College, and other institutions. It will be moderated by Seton Hall’s Rev. Dr. Pritchett. Conference rates, which include breakfast and lunch, are $65 for the general public and $35 for students (ID required at the door). To register, please click here. Deadline to register: Nov. 10. Interested in exhibiting or sponsoring this conference? Contact us at info@americanconferenceondiversity.org for details. In addition, there will be a “Diversity Selfie” contest. 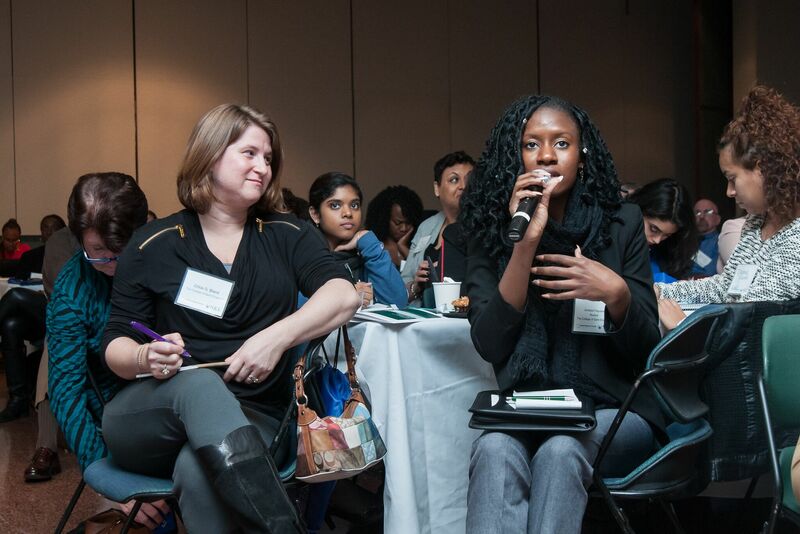 Conference attendees who share an image and great quote or lesson learned that best illustrates the meaning of diversity via Twitter and/or Instagram with the hashtag #‎DivHigherEd17 will be eligible to win a prize. There will also be a Tweet chat held from 12- 1 pm ET. Join in to be part of this exciting learning event! Thanks to Berkeley College, the Diversity Issues in Higher Education conference will be video live-streaming starting at 9 am here: http://bit.ly/2hu4oXe. 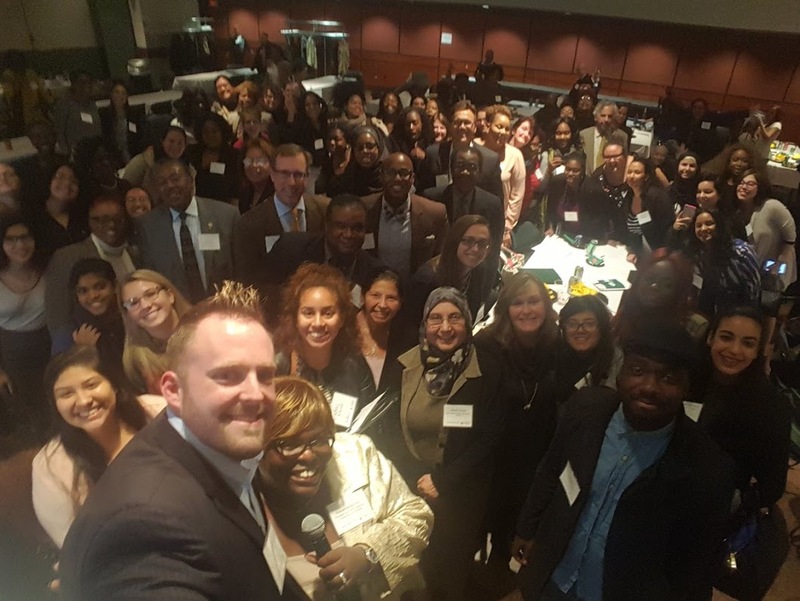 Special thanks to the 2017 partner committee members: American Conference on Diversity, Berkeley College, Bergen Community College, Bloomfield College, Brookdale Community College, College of St. Elizabeth, Fairleigh Dickinson University, Hudson County Community College, Kean University, Montclair State University, NAACP, New Jersey City University (NJCU), New Jersey Institute of Technology, Ramapo College of New Jersey, Rutgers: The State University of New Jersey, Saint Peter’s University, Seton Hall University, Stockton University, The College of New Jersey, William Paterson University, and Pratt Institute, and corporate partners have been ADP, BASF, Enterprise, New Jersey Resources, PSEG, and L’Oréal USA.